We have wide experienced to export our machinery for overseas market as competitive price levels to Thailand, Malaysia, Vietnam, China, India, Spain, Greece, Portugal, Egypt, Tunisia, South Africa, Australia, New Zealand, Saudi Arabia, etc as well as Korea local market. 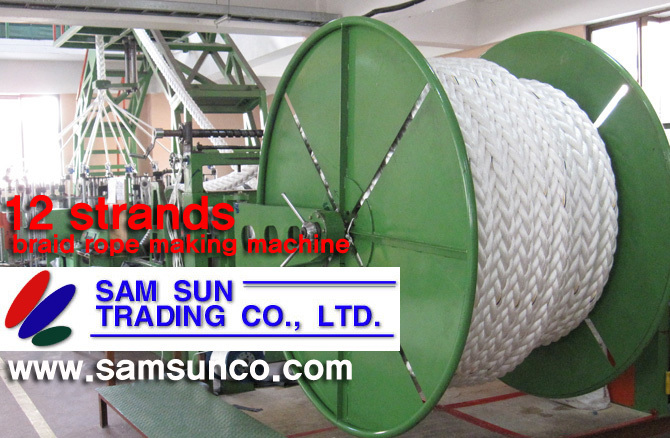 Besides it is very superior to the rope production of quality, productive capacity and price levels which was made of our machinery than other manufacturers. In this brief introduction has drawn your valued attention to our company. We hope that this message will be given great care and attention to our potential clients. Copyright�� SAM SUN TRADING CO., LTD. 1998-2017.